Google AdWords is a very effective online advertising programme that enables you to reach new customers and grow your business. With AdWords you can choose where your ad appears, set a budget you’re comfortable with and measure the impact of your ad. There’s no minimum spending commitment. You can pause or stop the service at any time. You can reach people as they search for words or phrases (which are called keywords) or when people browse websites with themes related to your business. 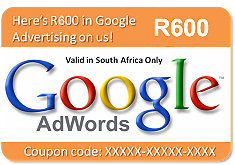 Your ad can appear on Google and its partner websites. With cost-per-click (CPC) bidding, you’re charged only when someone clicks your ad. view a video on how it works. A great advantage of AdWords is that your ads will be highly relevant, and will only be shown to people who are looking for something related to what you’re offering. You are able to target specific geographical locations, right down to a city level or even a certain radius around a location. AdWords also allows you to select specific hours during the day for optimal targeting. With AdWords you can get your first visitors or even buyers within hours. Google AdWords results are very effective. Typically, within hours of starting your Google AdWords campaign, you can expect to see increased traffic to your site. The sooner people can find you, the sooner you will see positive results in your sales pipeline. 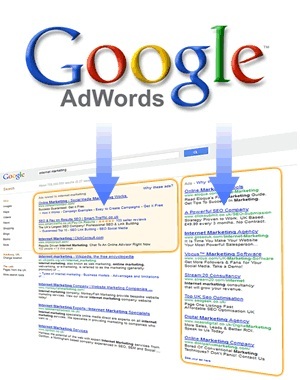 One of AdWords’ primary benefits is that the cost of advertising can be fully managed and utilized by yourself. You only pay when someone clicks on your ad, not when your ad appears. You decide how much you want to spend monthly, and you’ll never be charged more than that amount. With this, you can always know your advertising budget. With Google AdWords every single aspect of your marketing campaign is measurable, right down to the number of clicks, number of impressions (how many times your ad was viewed), the click-through rate, number of conversions, conversion rate, cost per click (CPC) and cost per acquisition (CPA). You need to decide on how much you plan to spend on a monthly basis (including the management fee) and then contact us. Within 2 days our friendly consultant establishes your specific requirements by means of a telephone interview. Once your campaign has been set up, you will be required to make your first payment to Google (we will walk you through this step by step). We will finish the setup on your campaign in order to maximise the return on your spend. We will send you monthly report on how your campaign is doing, while doing monthly maintenance on your account. Afrideveloper © 2015 | All Rights Reserved.